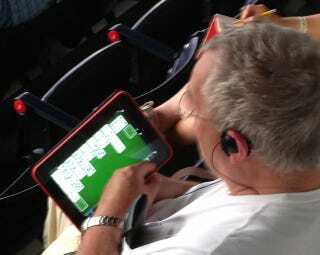 The above photo comes from reader Brando, who spotted this gentlemen escaping the boredom of a Reds-Braves game with a few rounds of Solitaire. I didn't even know people still played Solitaire. Someone needs to tell these two about Candy Crush.